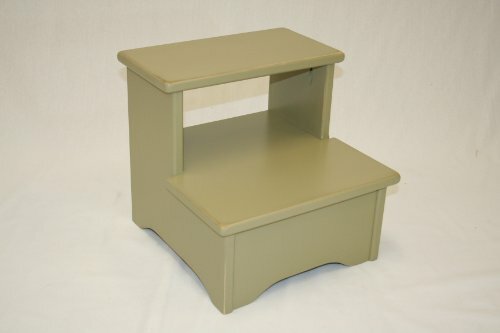 Amish Handcrafted Solid Wood Bed Stool-lmb, Antique Oliver-green by eHemco at Indsight. Hurry! Limited time offer. Offer valid only while supplies last. This bedside stool is individualy handcrafted using soild hardwood(no Veneers,no MDF) by an Amish family.